These texts continue to highlight unlikely ways that God is revealed. 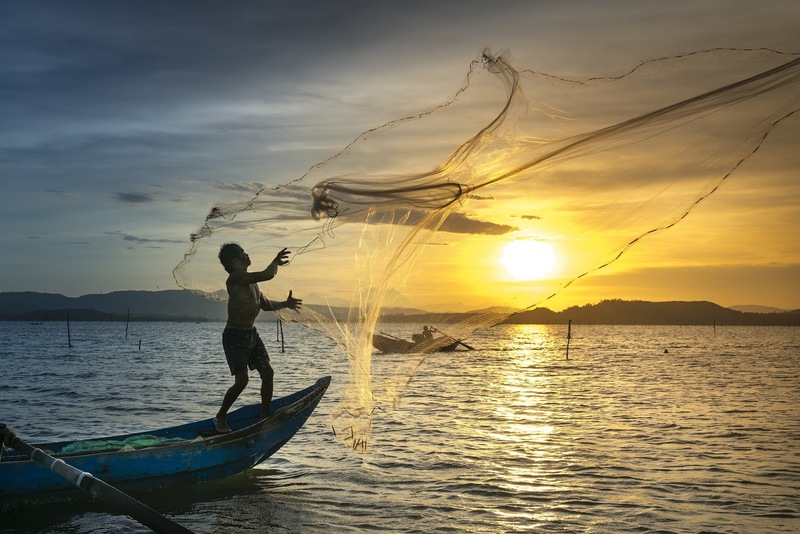 God calls flawed human beings - a man of unclean lips, a former persecutor of the church of God, and three fishermen who couldn’t catch a thing - to reveal God’s mercy and love through their proclamation. Perhaps even more surprising, is that God also calls us to reveal and proclaim God’s amazing grace. * What would it mean for you to leave everything to follow Jesus today? * What would you would gladly leave? What would you hope to take with you as you follow Jesus? * How do you understand God’s call to you to follow Jesus? * What have you felt called to do that seemed crazy or impractical? For the Week: You call me to follow. Show me the deeps waters in which I should fish. Throughout the Day: Help me leave those things which distract me from you. May God increase your strength within you. Holy, holy, holy, Lord: the earth is full of your glory! Re-read Isaiah’s vision of heavenly worship in Isaiah 6:1-4. Shut your eyes and take a deep breath. Breath out speaking or thinking the word “holy”. Breathe deeply like that two more times. Reflect on your experiences of worship or any time you may have felt God’s presence deeply. Savor those thoughts for a few minutes. End with a prayer. Our Water 2 Thrive Mission Group begins a month-long emphasis on African water wells in our Sunday School program. How can you preserve this precious natural resource?